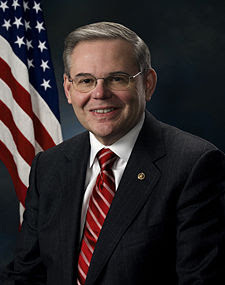 Friends and relatives of Senator Robert “Tex” Menendez were said to be by his bedside as he recovered from the news that not everywhere in the world was in the United States. Senator Menendez was said to have spent the day studying his Globe of the USA after it was broken to him that not only was Scotland part of the United Kingdom it was not part of the United States. The news that Scottish and UK officials were not elected by US citizens was broken to the Senator during the after dinner banquet of Beans ‘n Grit following the state opening of the national rodeo on the White House lawn. The Senator has offered to send other people outside of the US “to Great Britain and Scotland”, which is in Great Britain,, apparently, in a desperate bid to encourage ministers and MPs of another sovereign nation to testify before the US’s “World Series Senate Inquiry” into the Lockerbie bombing. However he was shocked when all invitations where turned down. Asked if he now felt his Senate Inquiry into the release of Abdelbaset Ali al-Megrahi was now dead, the Senator insisted there was still vital work to be done. FRIDAY NIGHT CONTACTING YOU SATURDAY.